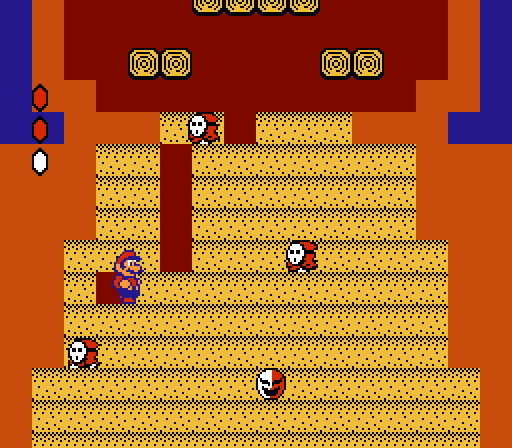 In Super Mario Bros. 2, you dig paths through sand. The sand, however, just disappears, when it should be displaced. Rory: Did you never finish the game? It was all a dream. Idea: A three-dimensional Mario game in which Mario can enter any character's mind. The worlds in the game are characters' minds. Super Mario Inception. A modest home world is, in fact, a labyrinthine nesting doll of worlds to explore. It's an open world as concentric circles. If you knock out a character before entering his or her mind, you can explore a dream version of said character's mind. A Magikoopa might trigger a nightmare version of a character's mind while you are exploring it.